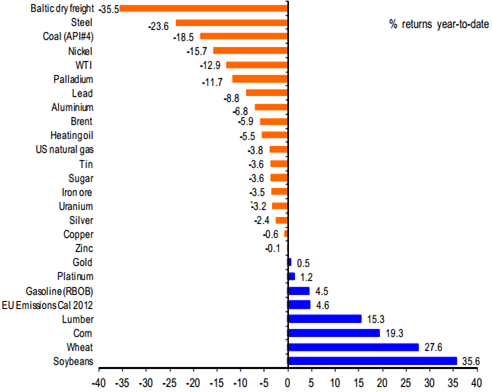 Here’s an interesting chart (showing ytd commodity returns) originally published by DB and being tagged around by bloggers. Metals, crude and shipping are down. Shipping is down big time really. 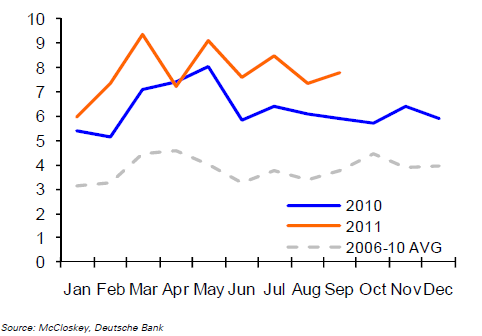 Is this chart positive for India? Looks like it if you look at the increasing demand for thermal coal from India in the second chart on the right. The heat wave continues here in the US and I wonder if this may inject the much needed inflation in the US economy? In banking there is also casino banking..but it is all together in different perspective.